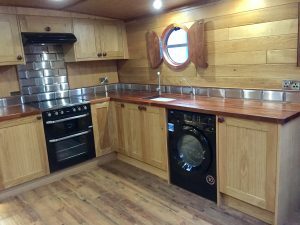 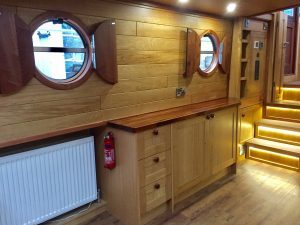 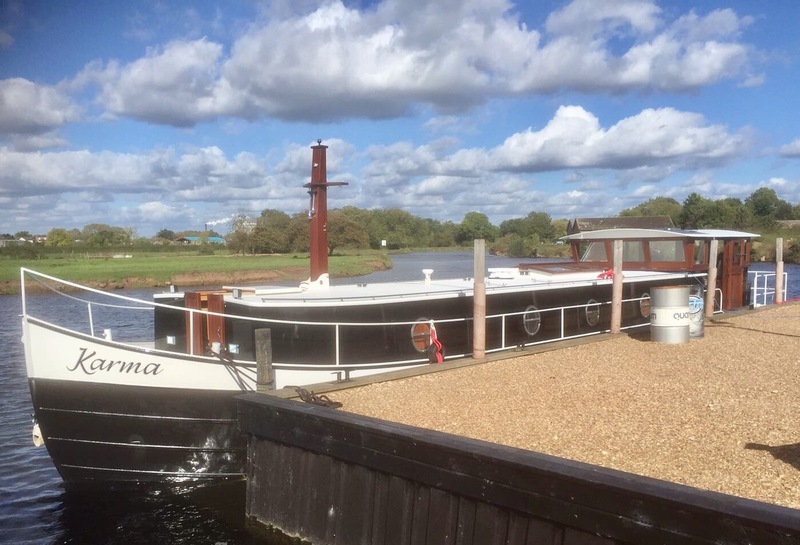 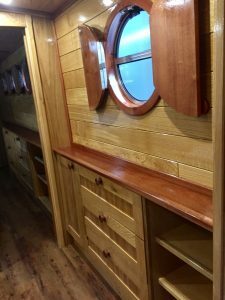 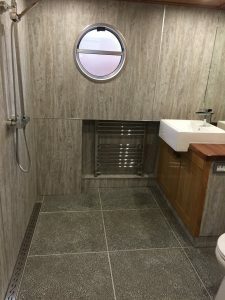 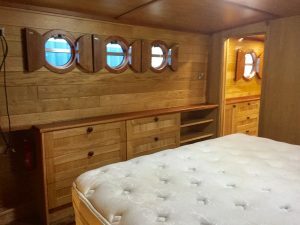 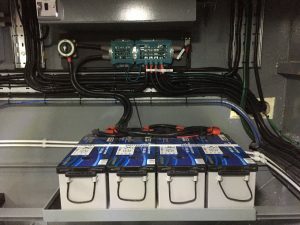 Karma is a 65ft x 12ft 6″ wide beam barge with a hydraulic sapele double glazed collapsible wheelhouse and an open aft deck with railings all around for summer dining. 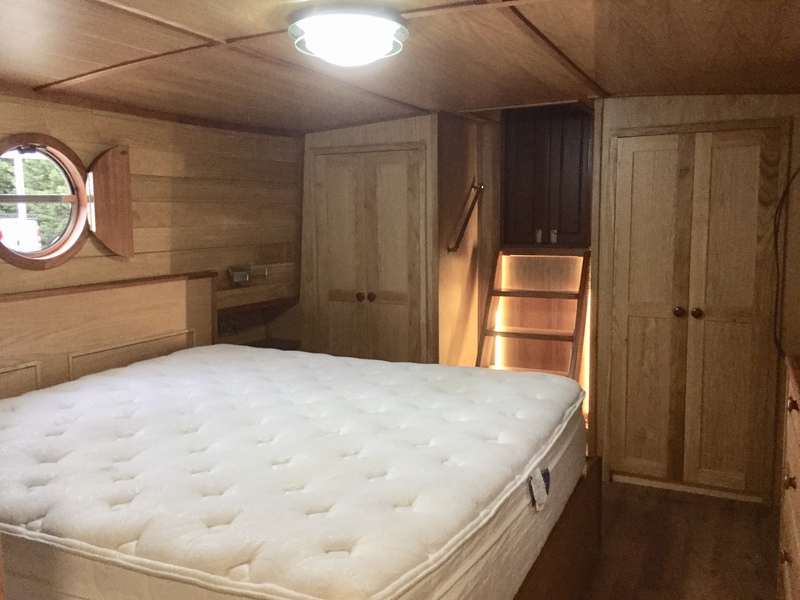 The layout of Karma is: Bedroom at the fore, walk through wet room, a large saloon and a galley in front of the wheelhouse. 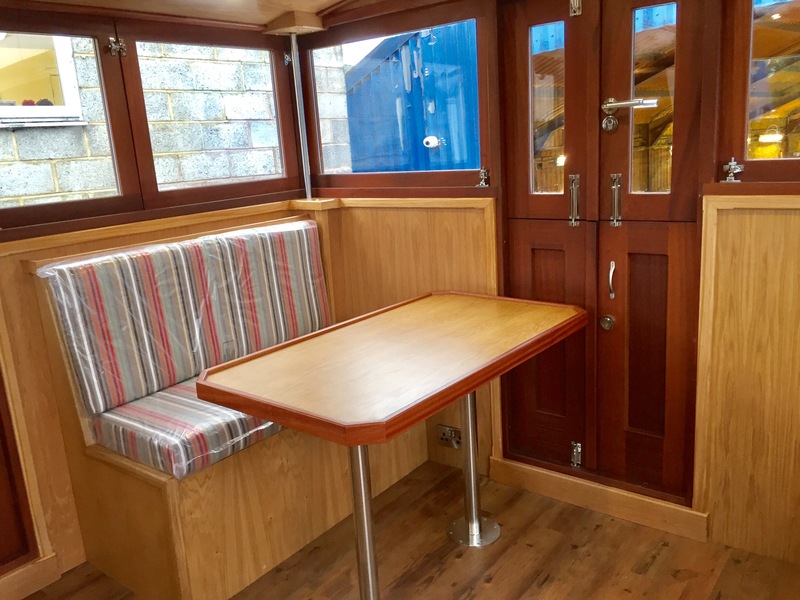 The wheelhouse houses a seating area and a table for dining. 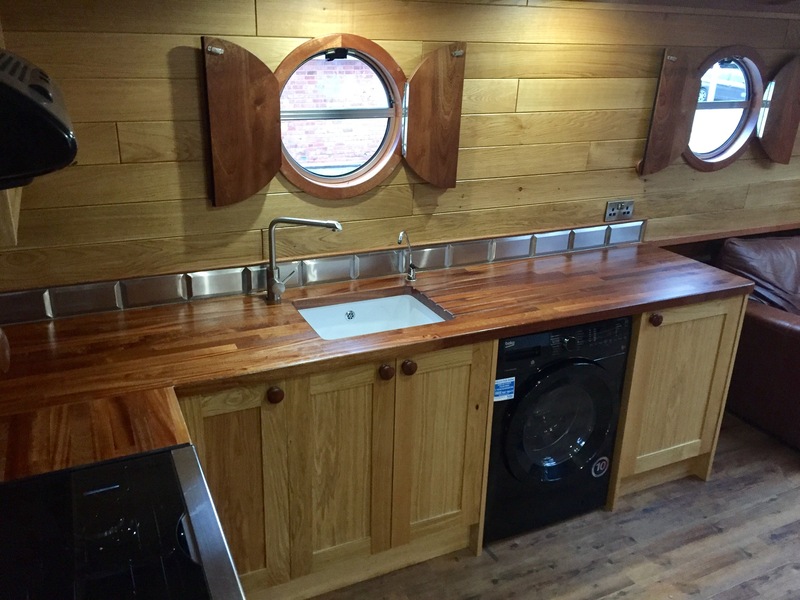 Karma is lined with an oak plywood ceiling, oak T & G on the cabin sides and oak veneered plywood under gunnel. 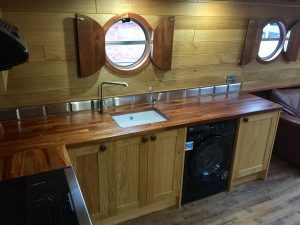 Sapele trim and sapele worktops are fitted throughout with oak cabinetry. A large opening dog box is fitted to the roof above the saloon to allow additional natural light to flow into Karma. 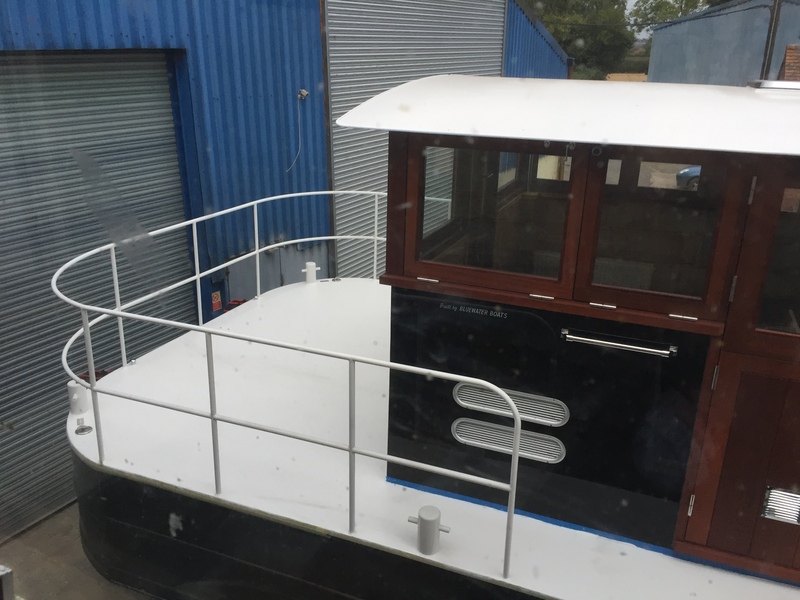 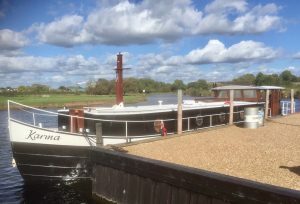 We have introduced this style of barge as it is built for more extensive cruising of the rivers and the wide canals of the UK and Europe. 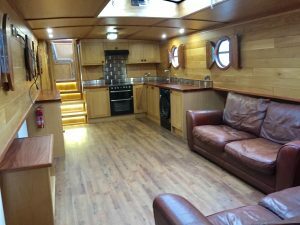 The design follows the theme of our traditional Dutch Barges, however, it offers the interior space, the practicality and the price normally associated with wide beams. 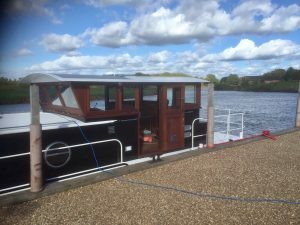 We can build them with either railings around the stern deck or with a wraparound seating area to enclose the stern deck. 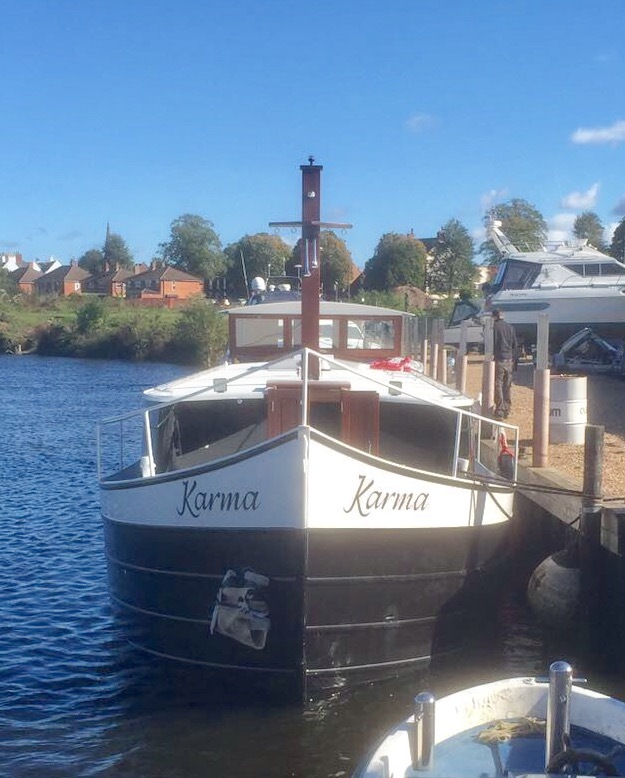 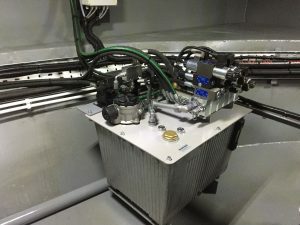 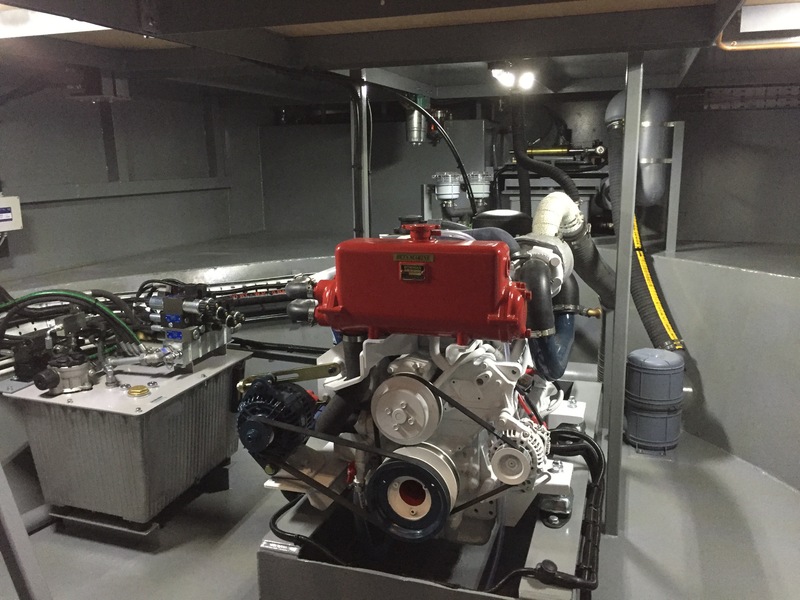 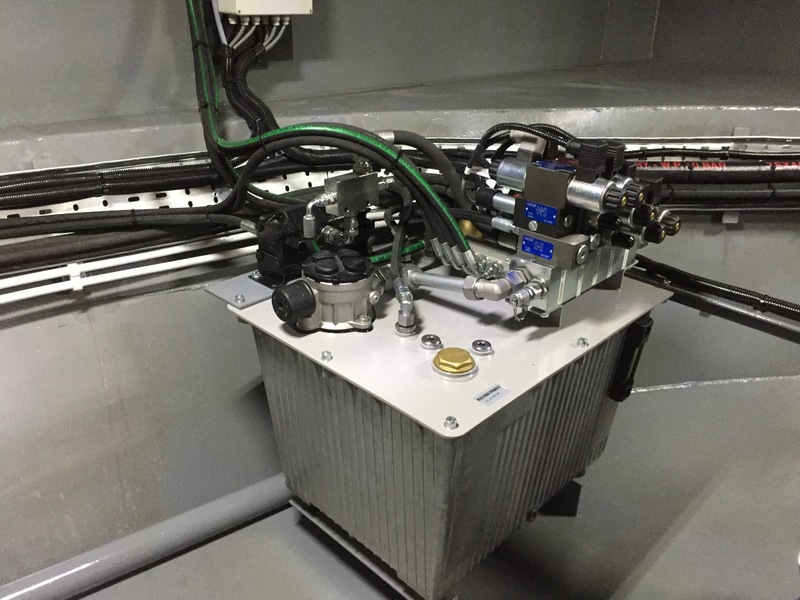 Karma is fitted with a Beta 114hp engine, a Vetus 6.5 kva generator, a Vetus 160kgf hydraulic bow thruster and a 95 kgf hydraulic stern thruster, a Mastervolt 3000W inverter/charger, a Vetus hydraulic winch and Webasto diesel heating and a hydraulic wheelhouse roof. 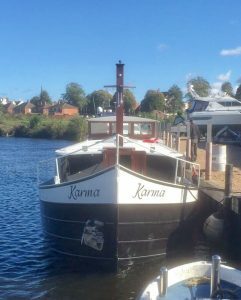 Karma has been shot blasted externally and painted in a two pack paint system, Awlcraft 2000.